Discussion in 'Humorous Jokes, Stories or Pictures' started by safari hunter, Jan 19, 2009. 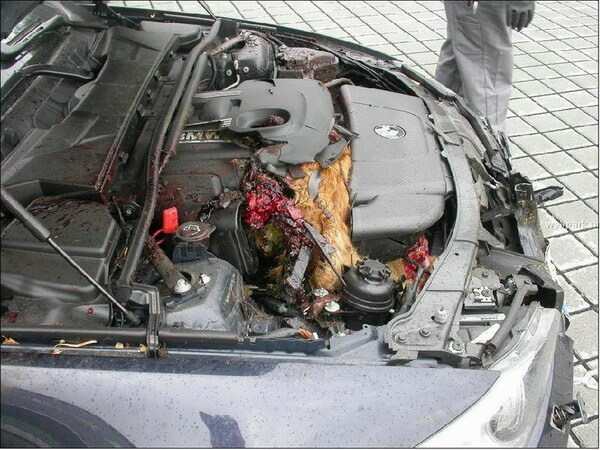 Roe Deer hit by a BMW on the Autobahn in Germany at 140 mph... 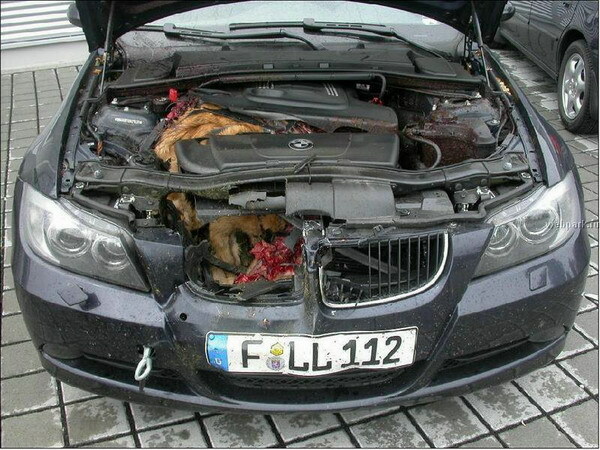 Someone got lucky and it wasn't the Deer! 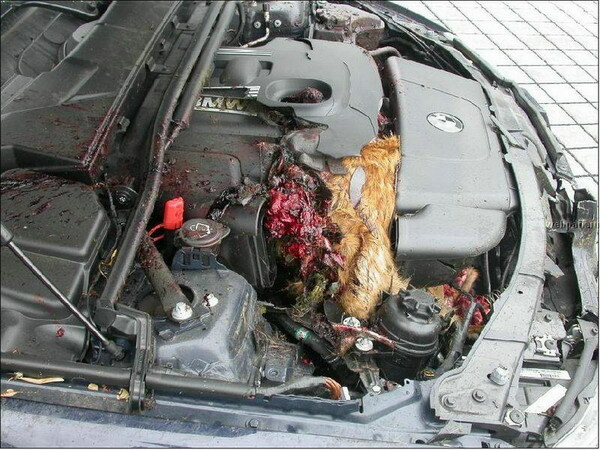 What a beautiful piece of German engineering but be sure to check under the hood. 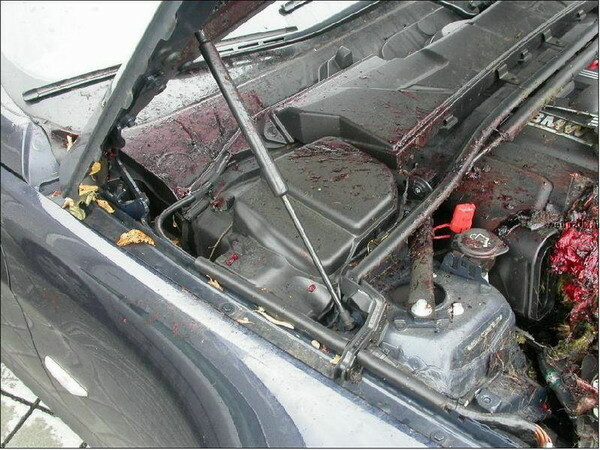 My wife was in the back seat of a 3 series BMW being driven through Belgium at around 140kph this was around about 1990 and it pretty well wrote off that car too. Man I would hate to be the panel beater getting the job fix it.